Everything came packaged in a nice sturdy box, which was inside a pink bubble mailer for extra protection. All the items were secure, and there were no leaks from any products. 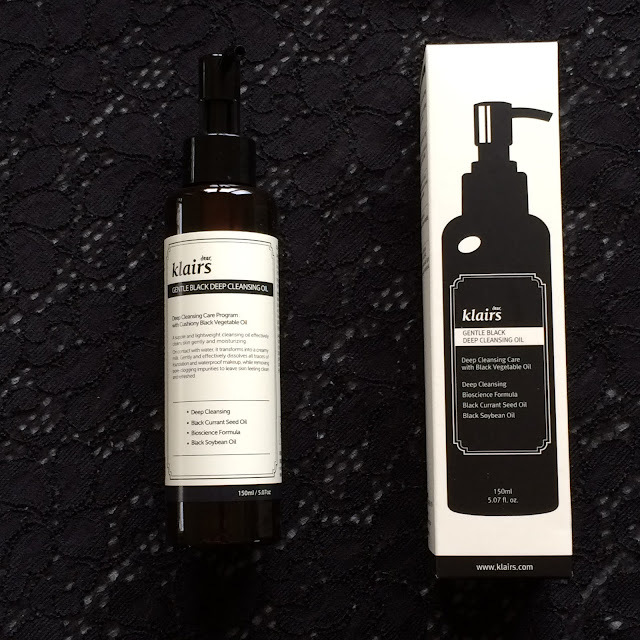 First item is the Klairs Gentle Black Deep Cleansing Oil. I've never tried products from Klairs before but I know they're popular. I was excited to finally get my hands on this! 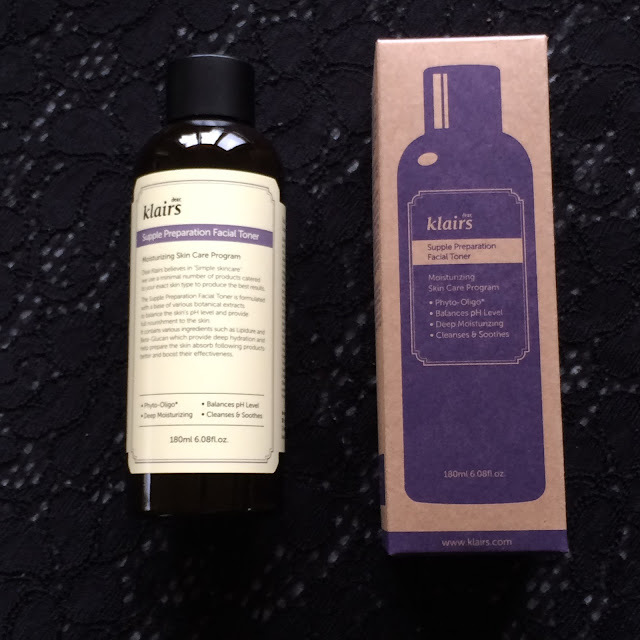 Just as the cleansing oil, I've heard so many amazing things about the Klairs Supple Preparation Facial Toner and had to finally give it a try. I love masks - and when I find one that targets multiple skin concerns of mine, I have no self control. 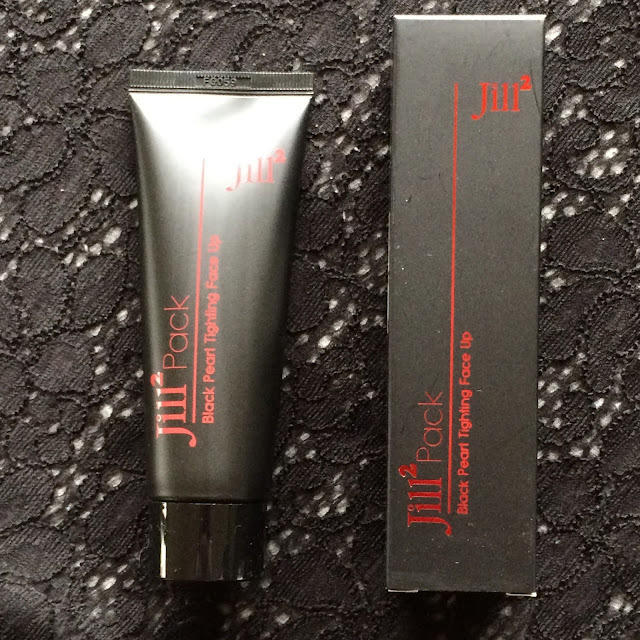 The Jill2 Pack is a tightening gel-type mask that claims to brighten and tighten skin, while clarifying pores and controlling sebum. I literally squealed when I saw this cream on Althea's site. 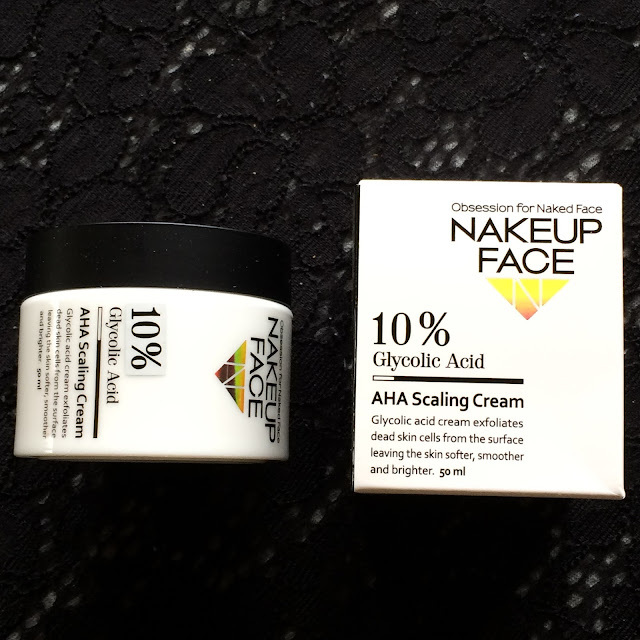 The Nakeup Face 10% Glycolic Acid AHA Scaling Cream is an exfoliating moisturizer that loosens up dead skin cells and speeds cell turnover, while brightening and clarifying the skin. I currently use a different exfoliating cream, but this is a higher concentration, so I'm very excited to see how it works for me! 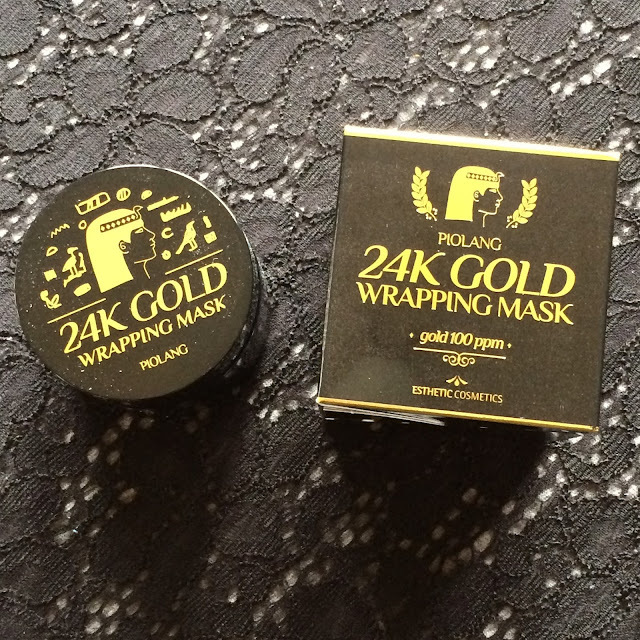 The Piolang 24K Gold Wrapping Mask is a peel off mask that targets the effects of aging. 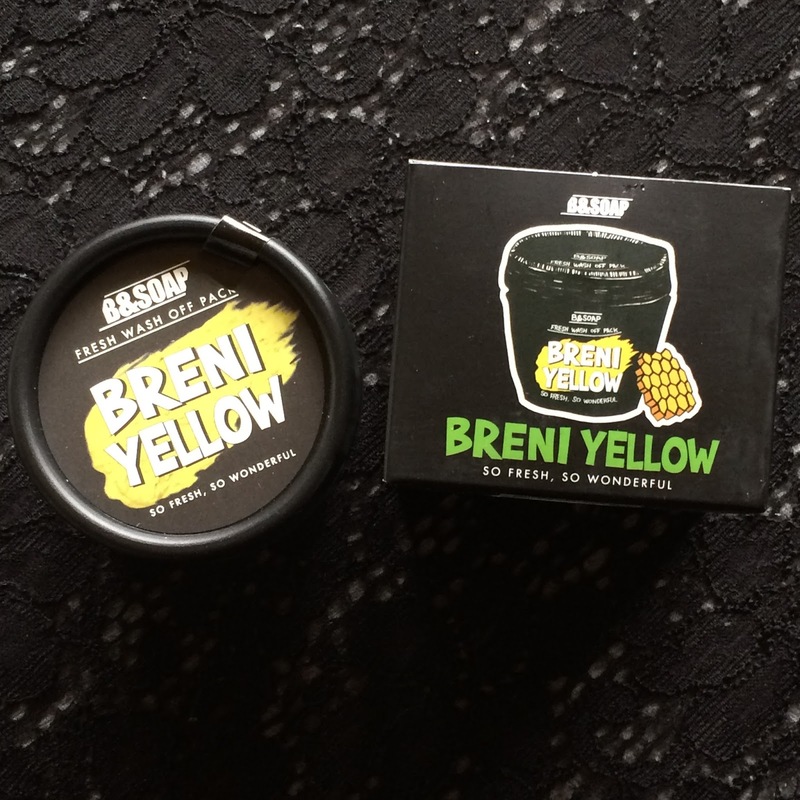 It's supposed to brighten, remove dead skin, hydrate, increase elasticity, and clarify. 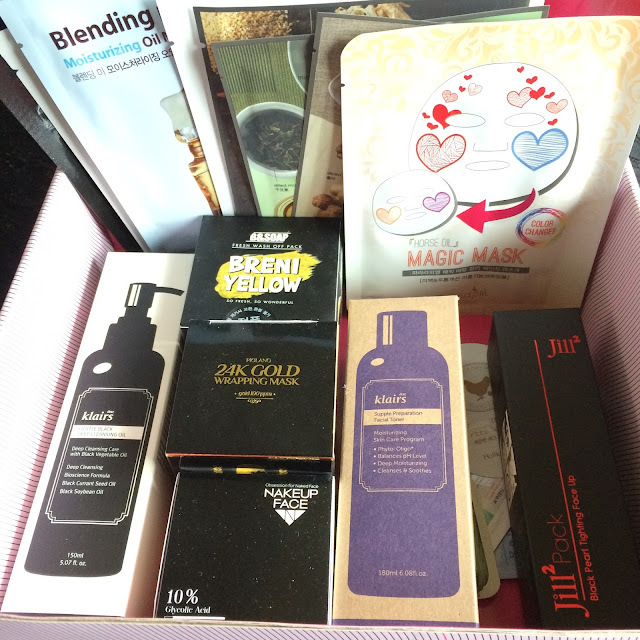 I've tried the B&Soap Mamie Blue Pack in the past and thought it was so fun! I was thrilled to see more varieties at Althea Korea, and grabbed a tub of the B&Soap Breni Yellow Pack once I saw the amazing ingredients it contains. It claims to hydrate, soothe, absorb sebum, brighten, and firm the skin - literally doing it all! I can't wait to give this a try. Of course it wouldn't be a traditional Half Past October haul without sheet masks. I grabbed one of each of the Acwell Traditional Grain Syrup Masks - Bellflower, Ginger, and Mugwort. 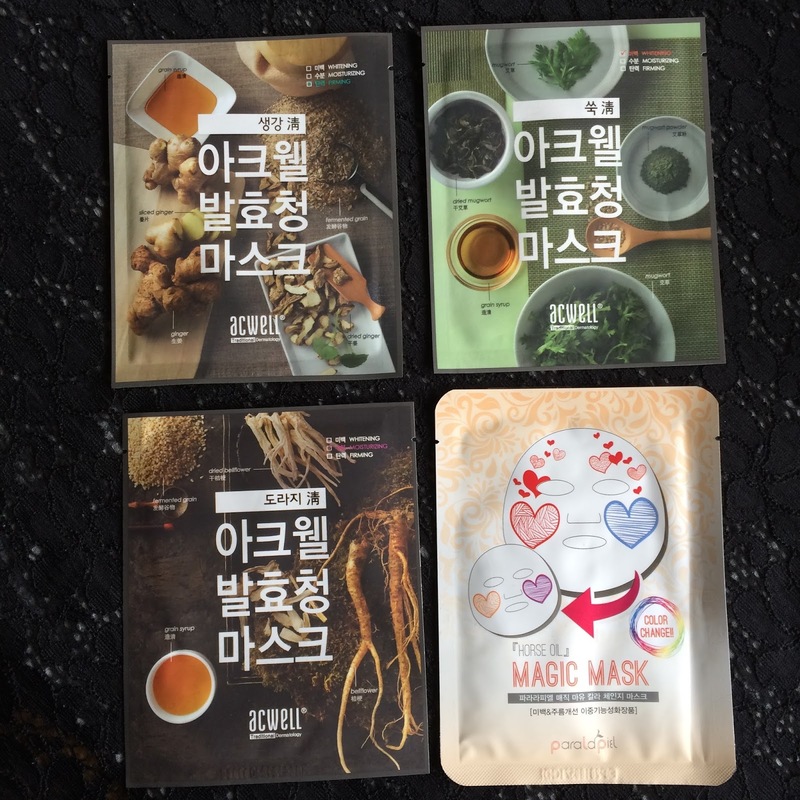 The grain syrup is supposed to gently exfoliate and moisturize, while each mask has it's own little twist added in. I also snatched a ParalaplelMagic Color Change Mask Horse Oil Mask, as horse oil is one of my favorite ingredients in skincare but isn't super common. I found two Make P:rem oil masks on deep discount while shopping, but unfortunately cannot find them on the site anymore. They are my first products from this brand though, so I'm excited to give them a try on a day when my skin is drier. 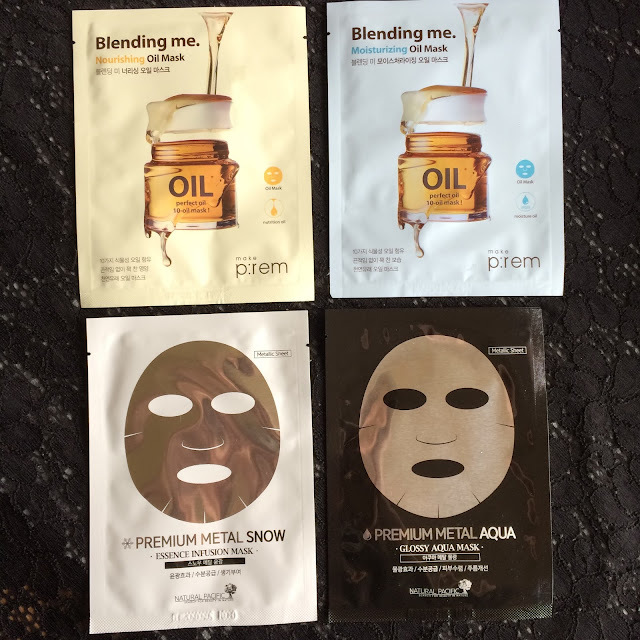 Intrigued by testing out some more types of foil masks, I also grabbed a B&Soap Premium Metal Snow Mask for moisturizing and brightening, and a B&Soap Premium Metal Aqua Mask for moisturizing and firming. 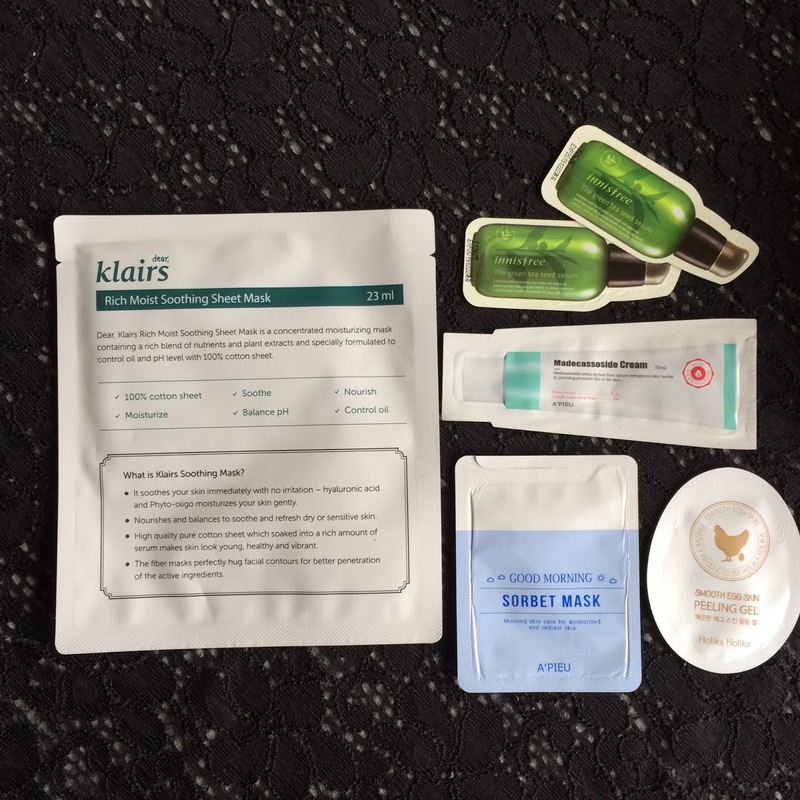 On a Klairs kick, I figured I'd grab one of their iconic Rich Moist Soothing Sheet Masks to use on a day where my skin needed some extra soothing tlc. Last but not least, Althea Korea even threw in a few free samples in my order! As I mentioned at the beginning of the post, my package took three weeks from the day I purchased for it to be delivered to my home from Korea. Because my purchase was over $50, it shipped for free! I had tracking along the whole journey, as Althea Korea used Rincos to ship. My package was transferred to FedEx once it arrived in the US and passed through customs, then lastly transferred to USPS when it was finally delivered to our local FedEx hub. Althea Korea has very competitive pricing, and a very wide range of products I've not seen available in US-based online shops. It was exciting to shop through such an extensive variety of brands. 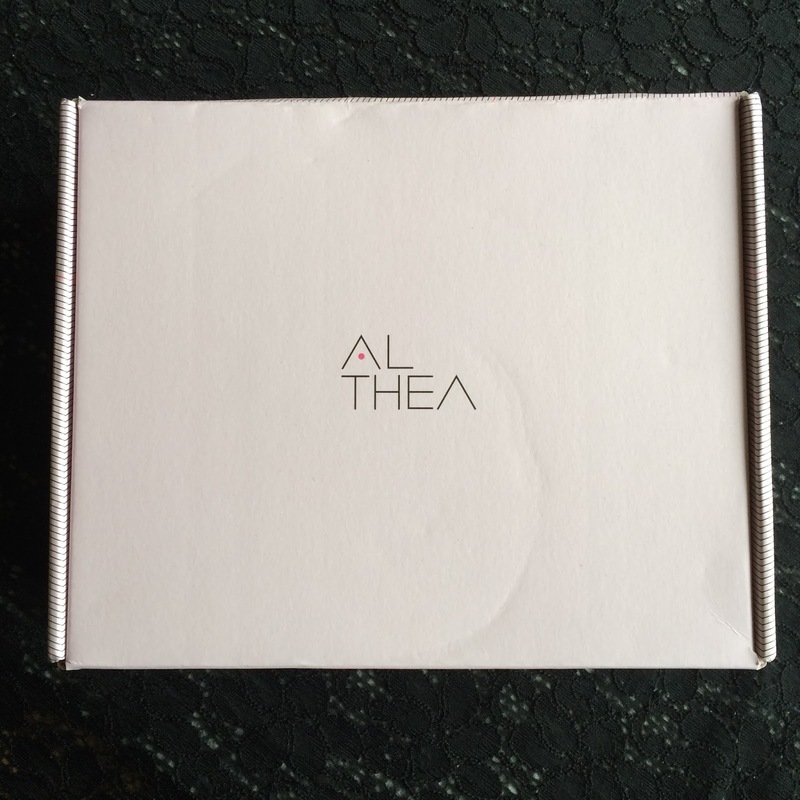 Their affordable prices, option for free shipping, excellent service, quick turn-around, and new customer incentive are all amazing reasons to shop at Althea Korea. I'll be completely honest and tell you all that I am so pleased I was able to have this experience, because I will definitely be a returning customer. Thank you Samantha for sharing your shopping experience with Althea. I'm glad to hear it all went well! The free shipping over $50 can take anywhere up to 35 business days but for those who can't wait, there's an upgrade for a nominal fee to get it within 3 - 7 working days (depending on locations & public holidays Korea - Country of Destination).